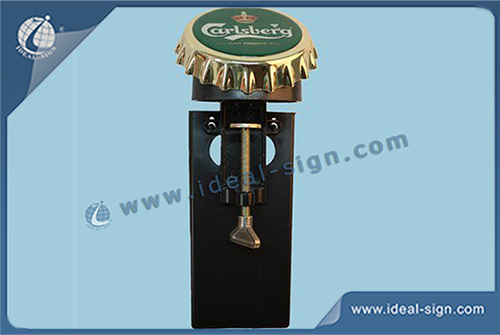 This is a bar top opener with a ABS round shaped display at the top. 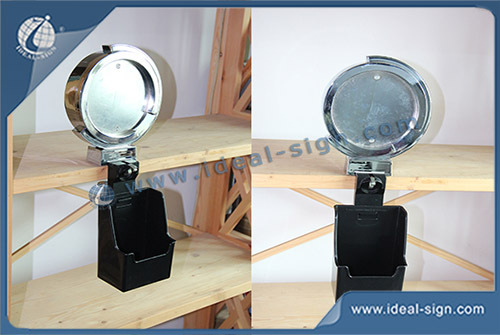 This opener has a clamp system to amounted on the bar top. After you open a beer or beverage bottle, the cap falls down at the lower cap collector box, so the bar tenders do not need to bother anymore where to put the bottle caps.